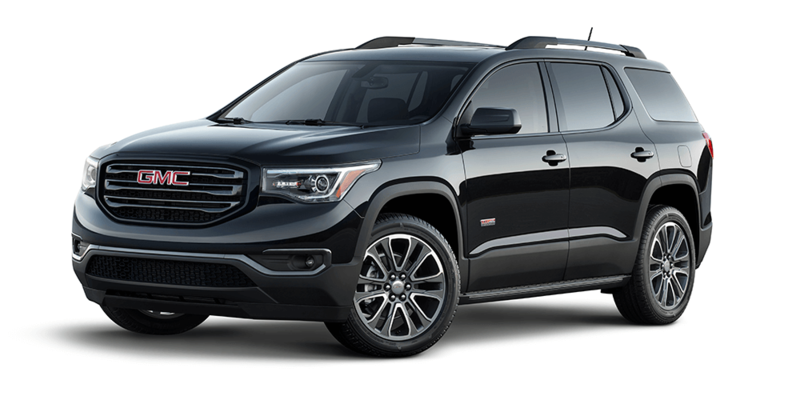 For those on the hunt for a capable 7-passenger, three-row SUV, there are few choices that compare to the 2017 GMC Acadia. Completely redesigned for the new model year, Troy and Dayton drivers now have access to a vehicle with a more compact footprint and impressive advanced tech. Explore the 2017 GMC Acadia at Dave Arbogast Buick GMC and see why the critics are falling in love all over again. The Acadia’s size has decreased for 2017, but its offerings have not. Drivers still have access to the standard power-adjustable, heated exterior mirrors and projector beam headlamps that ensure excellent visibility during all kinds of weather, while LED daytime running lamps and fog lamps are also available on selected trims. Also available are exclusive options like a rear power liftgate, 17-, 18-, or 20-inch wheels, dual power SkyScape sunroof, chrome accents and more. 4-Cylinder – Drivers can select the 2.5L 4-cylinder SIDI powerplant with start/stop technology for an EPA-estimated 21 mpg/city and 25 mpg/highway fuel efficiency and as much as 193 hp and 188 lb.-ft. of torque. 6-Cylinder – For a more powerful experience, drivers can select the 3.6L V6 SIDI engine with VVT for 310 hp and 271 lb.-ft. of torque. This engine also delivered impressive efficiency of up to 18 mpg/city and 25 mpg/highway fuel economy and up to 4,000 pounds of trailering capacity. Each engine is mated to a 6-speed automatic transmission and either a FWD or AWD drivetrain depending on driver preference. Driver Convenience – In addition to options like a Universal transceiver for gates and garage doors, drivers can look forward to available amenities like tri-zone climate control, remote start, Keyless open and start, power-adjustable driver’s seat with memory, and convenient multifunction steering wheel. Advanced Technology – The IntelliLink infotainment system with 7-inch touchscreen interface offers access to hands-free calling, navigation, and media streaming when paired with a compatible smartphone through Apple CarPlay or Android Auto, as well as options like voice-control and maps. When properly equipped, passengers even have access to 4G LTE Wi-Fi connectivity for up to seven devices. Performance Audio – An available 8-speaker Bose audio system makes use of the Acadia’s unique interior design to provide concert-quality sound regardless of whether it’s streamed or comes through the onboard radio. Traction Control – Select trims offer not only the standard StabiliTrak with traction control to help keep the wheels from slipping, drivers can also use the Traction Select feature to choose the right driving mode depending on the road. Rearview Camera – The Acadia offers a standard rearview camera system that helps drivers back the SUV into tight parking spaces or connect to a trailer. Optional features like Rear Park Assist and Rear Cross-Traffic Alert help alert to oncoming obstacles the camera may not see. Driver Assist – Available technology including the advanced Following Distance Indicator, Front Pedestrian Braking, Forward Collision Alert, and other features can help Acadia drivers avoid accidental collisions by using sensors to sound alerts and activate the brakes under certain conditions. Contact Dave Arbogast Buick GMC at (888) 919-1635 or stop by our showroom at 3540 S County Road 25A in Troy, OH to see the 2017 GMC Acadia in action and enjoy your Troy and Dayton commute again.